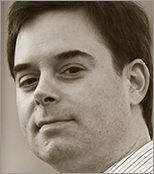 Roy Sutton is the Community Manager for HP's Open webOS project. He is the author of Enyo: Up and Running from O'Reilly Media and a contributor to the Enyo project. He has been a mobile developer for longer than the term has existed. You can find him on twitter as @Pre101.